NurseGrid Manager is a cloud-based schedule management solution for nursing departments which aims to centralize and simplify processes for schedulers, charges and nurse managers with automated scheduling and communication tools. NurseGrid also gives users a central platform from which to manage shift-swaps. As a cloud-based service with native mobile apps, NurseGrid Manager gives users the flexibility to access features from any desktop, laptop, mobile or tablet device. There are currently no reviews of NurseGrid Manager. Contact NurseGrid directly for detailed pricing. Manage call shift scheduling automatically. Utilize native mobile app for anytime, anywhere access. Approve shift changes in real time. Gain central access to full staff directory. Communicate and collaborate with individual and group messaging. Below are some frequently asked questions for NurseGrid Manager. Q. What type of pricing plans does NurseGrid Manager offer? Q. Who are the typical users of NurseGrid Manager? Q. What languages does NurseGrid Manager support? Q. 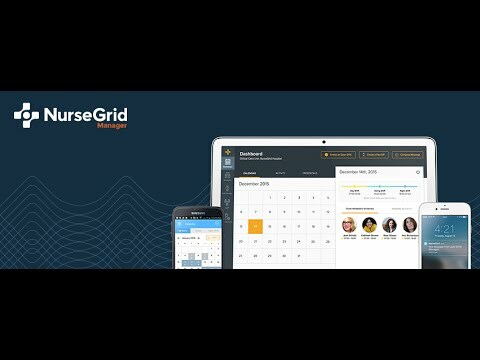 Does NurseGrid Manager support mobile devices? Q. Does NurseGrid Manager offer an API? No, NurseGrid Manager does not have an API available. Q. What other apps does NurseGrid Manager integrate with? Q. What level of support does NurseGrid Manager offer?